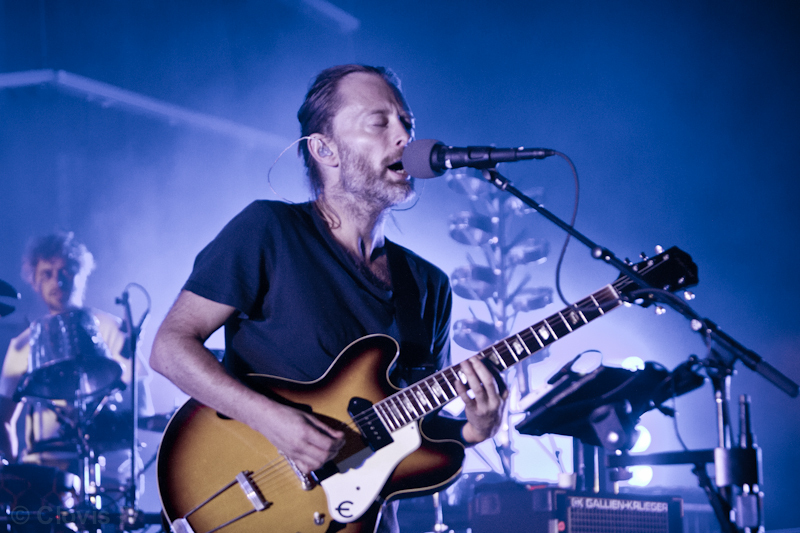 A short drive up Hwy 101 from Los Angeles, the Santa Barbara Bowl just hosted a sold out performance by the super-group Atoms For Peace; famously composed of members of Radiohead’s, Thom Yorke & Red Hot Chili Peppers’s, Flea. 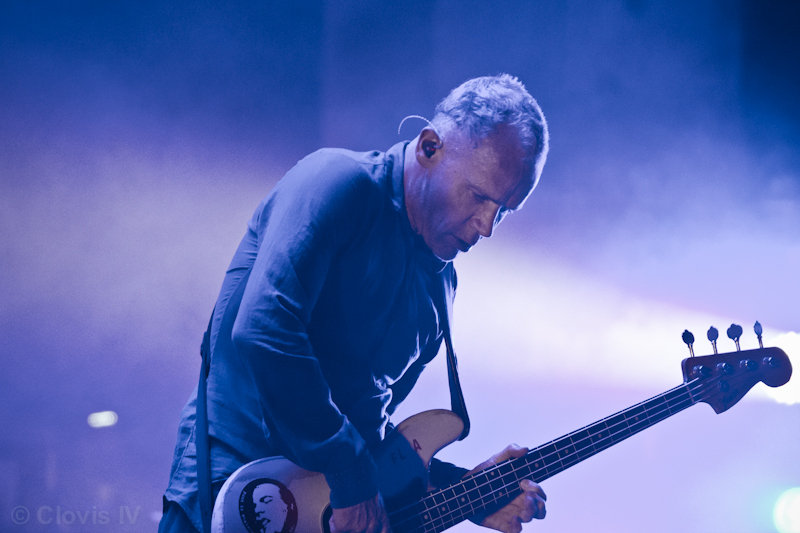 The band, touring in support of their new release AMOK, put on a nearly an hour and a half mesmerizing show, pressing up against the lights-on deadline for the venue. Progressing from a few years earlier when they toured for the Thom Yorke album “Atoms For Peace,” the now-band performed a more textured and ambient alt-rock set. Definitely an excursion further away from either of the core members’ main band’s, the night had a distinct hypnotic vibe. The tracks from “AMOK” specifically, were played with almost an improvisational-jazz flow, with electronics and rhythmic hooks. Highlights definitely came in the form of the numerous Thom Yorke compositions from the album Atoms For Peace, most notably an intense delivery of “And It Rained All Night” as well as a haunting final encore including “Black Swan.” Another treat for the night was the sole Radiohead song for the night, the b-side “Paperbag Writer.” All in all, even if the material from the album AMOK hasn’t fully grown on me yet, it was a really good performance with a great vibe. 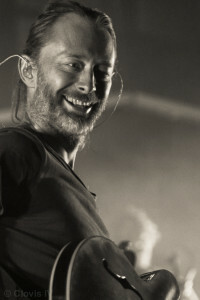 Atoms for Peace is composed of Thom Yorke (vocals, guitar, piano), Flea (bass, keyboards), Nigel Goodrich (keyboards, guitar, backing vocals), Joey Waronker (Drums), and secondary percussionist Mauro Refosco (additional percussion).